Lets face it, we often aren’t nearly as smart as our smartphones. There are so many things Android phones can do which their owners don’t even know about, it’s just astonishing. If you have an Android phone and you think you’ve discovered everything there is to know about your technology, you’re probably wrong. Truth is, there are at least 3 very easy ways for you to get more out of your investment. When a phone costs several hundred dollars, it really is an investment, not just something you can throw away or allow yourself to not fully understand. If that’s how you want to do things, it’s like dumping money down a hole and who cares where it ends up. The odds are pretty good you’re not like that, so keep going to learn how you too can maximize the usefulness of your Android brand Smartphone. You will never again need to worry about an unexpected dead battery, an inability to scan one of millions of items or access an internet URL in seconds, or having a dependable internet browser which is also easy to use. One of the biggest complaints people have over Android phones is about a short battery life. That little machine can do an awful lot but it costs power to work and the battery in an Android phone can be spent within a few short hours with heavy use. If you know what apps, programs and uses are costing you the most energy, you can figure out what not to do if you want your Android phone to keep working longer. This sounds complicated, but it really isn’t all you need to do is start in the settings menu. From there, you’ll want to go to About Phone to learn more about your Android phone. The Battery option will jump right out at you and that’s what you need to hit to learn exactly how much time is left on your phone. Remember that the battery will run down even faster when the phone is being used to make calls, especially if they are video calls which make the thing work harder. What you do with this information is up to you, but it’s recommended to get rid of any energy hogs among your collection of apps if you want the Android to last longer. This is one of the most useful things you can put on your Android device. Whatever it is, if it’s got one of those square barcodes with the three corners and all the dots elsewhere, you can scan it with an Android phone. As long as the barcode scanner app is downloaded and installed, you can significantly shorten the time it takes to complete transactions. The requirements for the barcode scanner are pretty low as any Android device 1.5 and up will run the scanner as of now. Future releases may require some further software, but as things are now the scanner is simple to get and start using immediately. While these square barcodes aren’t on everything, they are fast becoming a popular way for edgy businesses to advertise and fresh companies to appear fresher still. These barcodes are also especially useful because they can be used to contain lengthy internet URLs in a small, uniform and easy to read space. That cuts down on printing costs for companies which needed to write down their entire web address before these square barcodes became so popular. Getting a quality web browser on your Android phone isn’t especially difficult with Google’s Chrome service ready to download and use. Even though you need to get another program called Froyo to make it work, you can get a program which allows you to access your Android phone from your personal computer and move things to it via Chrome like links and more. Rather than typing in the long addresses of websites you want to visit, you just send them to your phone from your computer. Then, once you’ve got all the URLs you want, they are a click or two away rather than requiring that length series of button presses. This saves a lot of time and allows you to set up things you’ll want to watch, read or listen to later before you go on a long trip, making it perfect for setting up driving playlists and similar stuff. It is also optimized for use on Android phones, which sets Google’s Chrome service well above Firefox and other competition. It’s the kind of seamless streaming people want with their high end technology and you won’t be disappointed if you pick this up for your Android phone or other device. There you have it, three different ways to help you get a lot more out of your Android phone or device. They’re all free too, so it won’t cost you a thing to install or try them all. If you’re not satisfied you can always get rid of the two totally free apps, so it would be like you never had them in the first place. No wasted money, no wasted time, nothing of the sort. Not that you should be dissatisfied with any of these features; they all do great things for Android phones and make them more powerful, more useful devices to have. 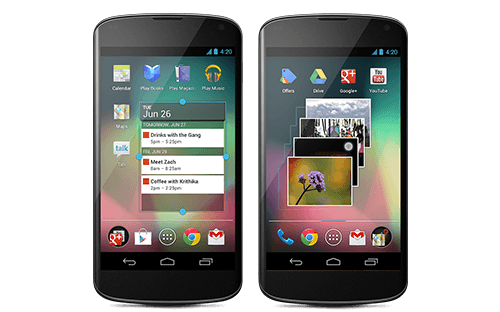 There are of course other ways you could get more from your Android phone but these are three of the best, most affordable and easiest to use add-ons and extras. If you find any of them useful, be sure to leave a review or pass on the information to other people looking for ways to maximize the returns on their own Androids. This kind of information could help a lot of people so it should be freely dispersed among as many folks as possible. Likewise, if you have an unexpected bad experience with any of these, that’s noteworthy and also something to mention. Chris Smith is an Android expert who writes articles on many different topics such as how to root Android, different apps, and many Android phone reviews. His articles are prominent on the web at different tech and Android sites.